This chair is manufactured by Living Earth Crafts, one of the most trusted brands in this industry. It’s present on our list because it offers excellent value for money at just $2,695. It’s manufactured in the United States so you can trust its quality. The chair is also very compact so it won’t take up much space in your spa so you get savings as well as convenience from this. The chair performs very well and is quite comfortable because of its Strata memory foam. It also comes with lock-in wheels that allow you to move it around according to your convenience. This perfect pedicure chair is another product by Living Earth Crafts so you can trust its quality. The chair looks elegant and luxurious but has a surprisingly small footprint. It is hand upholstered with Strata memory foam, which makes it very comfortable for your clients. The foot bath slides under the chair, which allows you to save some space when it’s not in use. 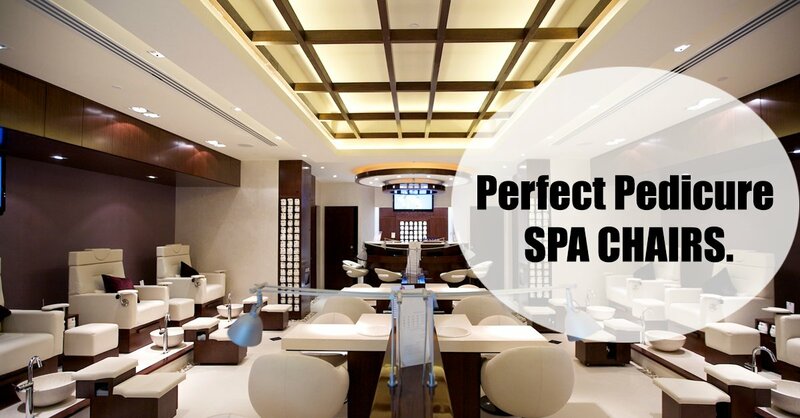 The chair comes with a Relaxor massage option that will relax your clients while your technicians perform the pedicure. This is a little pricier than the first chair on the list, but the quality is worth the investment. This chair can be considered an all-in-one, and offers excellent value for money. At just $2,795, you get dual massage motors, fiberglass mold, and UV resistant finish. The full Shiastsu massage will give your clients a wonderful experience while the adjustable foot rest, Magnajet motor, and discharge pump options would ensure your technicians have an easier time performing the pedicure. The chair is manufactured by JA and is made in the US; so you can trust the quality. JA is very popular and a trusted brand as well. If you want something durable and resilient, this chair is a great choice for you. It’s manufactured best known for highest quality pedicure chair built in U.S. by Whale Spa, which is a trusted brand that creates reliable products. The chair is reasonably priced at $2,395 and has a load of features like full Shiatsu Premium massage named Caresst, real wooden hand rests with trays and cup holder, unbreakable stone composite bowl, and a wide array of base color and finish options. The PU leather upholstery makes the chair very comfortable and relaxing. You can also upgrade leather to Genuine Italian Leather or Enduro leather options with 100 colors made and sew in U.S. The entire chair is chemical resistant, will ensure the chair lasts for a very long time, making it an excellent investment for your spa. The Florence Pedicure Chair is an excellent choice if you want something affordable and yet of good quality. It only costs $1,595 but offers a load of features like massage with Shiastsulogic technology, pipeless whirlpool jet system, and pull-out sprayer. The chair is manufactured by AYC and delivers an impressively reliable performance. It would serve you well for many years to come. If you have a flexible budget and want something beautiful and functional, you should purchase the Toepia GX Pedicure Chair. It’s manufactured by JA, one of the most respected brands in the industry and is built in the US. While you’ll have to shell out $3,395 to get this perfect pedicure chair, the quality is worth the money. You get handcrafted fiberglass bowl, pipeless whirlpool system, single handle for hot or cold water, and full Shiastsu massage system. This is a chair that would last and serve you well for several years to come. If you have any questions about perfect pedicure chair and equipment, you’re free to contact us at Pedi Source. Just give us a call at 1855 429 PEDI. You can also email one of these two email address with your questions and contact details: [email protected] and [email protected].